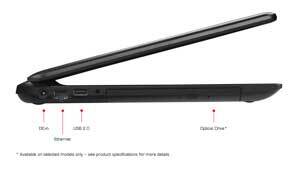 Toshiba C50D 15.6" Multimedia Laptop AMD E1-6010 Dual Core 4GB RAM 500GB Win 8.1. A device designed to be used as a multimedia friendly device. This device is for all type of users giving them a perfect medium to show their multimedia skills. For all your multimedia needs such as movies, playlist and other software run just so smooth with multimedia dedicated device. 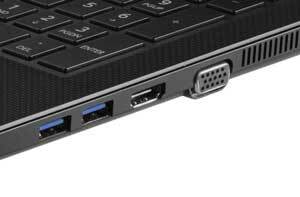 Toshiba has devised its multimedia supported device with the sleek look and a thin design. This helps the users to carry it around either in their homes or on the way without any fatigue. The built in speakers within this spectacular device gives an amplified sound quality making this device perfect for you bumpy beats play list and super hit favorite movies. A perfect cinematic enjoyment with just the device at your hand. A perfectly amplified sound quality so all your friends can hear a perfect sound balanced signals. The powerful performance is made possible with the AMD powered processor making your boot and other transitions on the device go speedy yet so smoothly with un noticeable flick of time. A perfectly responsive device to make your useage experience elevated to the next level. 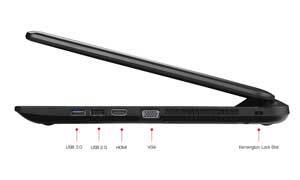 This perfectly devised laptop is fully loaded with various multiple connectivity options including USB 3.0 for more fast and speedy connectivity, HDMI port for connecting your laptop with higher multimedia devices, and VGA port. The device is fully compatible with windows 8. It is also pre-installed all ready to be used with windows 8.1 latest. This allows you to have a customized start screen, and make a list of your favorite apps from numerous variety available. The perfect multimedia device that Toshiba has designed for users of all types give a perfect way for video conferencing. Now you can have your chit chat online with video conferencing and let your friends shoe your house your dress and talk a lot and many more with an integrated built in perfect webcam device. This amazing Toshiba multimedia laptop comes with the super useful bundle offer. The bundle offer contains a bullgaurd antivirus for the protection of your laptop, perfectly amplified skull candy headphones and a wireless mice.